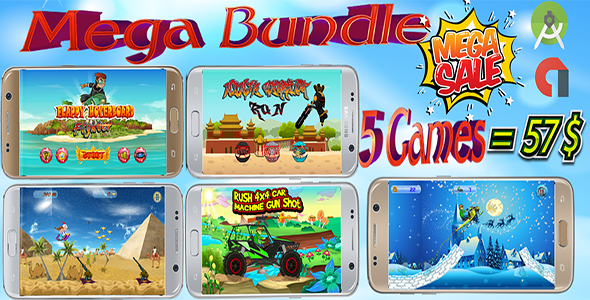 Special summer discount, 5 Amazing Games for only 57 Dollars. These games is created using Buildbox software. You can add Admob banner and interstitial easily to get more revenue from these games. 1. 5 Android Studio (version 3.3.1) Projects. Feel free to contact me if you have any problem, i will be glad to help you!